Every Day Is A “New” Year’s Day! New Year’s Day: 2014 is only a couple of days away. But have you ever stopped to consider the fact that, in a sense, every day of the year is a new year’s day? On January 2, my wife and I will celebrate a wedding anniversary! In February, one of my sons will celebrate a birthday! In March, the church I serve will celebrate my pastoral anniversary and my wife will celebrate a birthday! In August, I will celebrate a birthday! Of all the things an anniversary or a birthday is, it is primarily a day that marks the passing of another year since the event celebrated or remembered occurred and the beginning of another year before it is observed again. Now, since there is not a day of the week in any month of the year when someone somewhere is not celebrating an anniversary of some sort, and anniversaries and birthdays mark the beginnings of a new year, then in a sense, every day of the year a “new” year’s day! 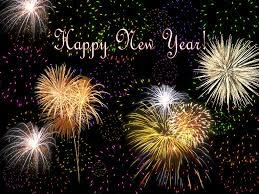 Now, many people make vows and commitments to do better, to be better, and/or to live better on New Year’s Day! In other words, for many people, New Year’s Day is a day to start over again! But, why wait until January 1 of the year to do that? Since every day of the year marks the beginning of some “new” year, why not celebrate New Year every day? Now, I don’t mean celebrating every day with fireworks and parades, but rather, celebrating each day with the understanding that with the dawning of each new day, there is an opportunity to start new! Each new day is an opportunity to reaffirm and renew dedication and commitment and each new day is an opportunity to start over again! Therefore, why restrict yourself to just one day of celebration for a new year? Every day of the year marks the beginning of a “new” year of some sort! Therefore, every day of the year is a day to celebrate! Now for the sake of my wallet, I am thankful that the celebration of Christmas (buying presents and giving gifts) only comes once a year! But I am grateful, that life has been so arranged that with the arrival of each new day, comes the opportunity to start a “new” year! A new year of sobriety! A new year of marriage! A new year of loving relationships! A new year of business success! A new year of spiritual growth! You name it! Whatever it is you want to accomplish and celebrate in life; every new day presents the opportunity to inaugurate and celebrate a new beginning! As I said, January 1, 2014 is a just a couple of days away, but I’m not waiting until then! I’m going to celebrate a “new” year today and every day, because every day of the year marks the beginning of a “new” year! This entry was posted in Inspirational Thoughts, Teachings and tagged anniversary, birthday, celebration, fresh start, new beginnings, New Year, New Years Day. Bookmark the permalink. ← How To Have A “New” Year!